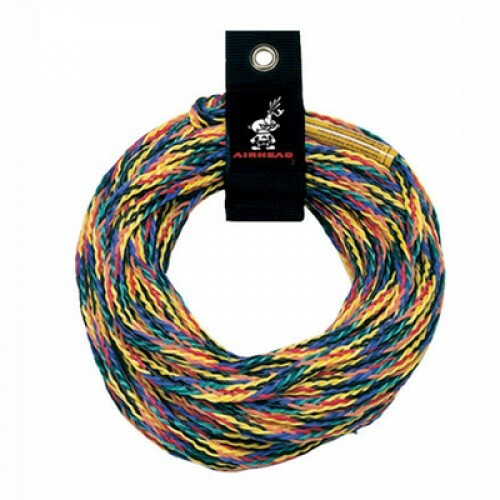 This 3/8" 16-strand braided tow rope is rated at 2,375 pounds tensile strength. There's a 6" loop spliced at each end. A Rope Keeper is included for tangle-free storage. Designed for 1 and 2 rider tubes.